The Providence Innovation & Design District is the single largest piece of undeveloped property in Providence, RI and is the centerpiece of an historic transformation of the City's skyline. The property can support up to 3 million square feet of mixed-use premier commercial space, including vibrant retail, restaurant, residential and hospitality development. The district will support landscaped and programmed parks (8 acres) and a dynamically designed pedestrian bridge. The Providence Innovation & Design District is made up of 17 parcels (19 acres), which were reclaimed with the moving of the I-195 highway. DK Communications worked closely with the Commission in coordinating events, educating the public and garnishing media on the progress of the District. Rhode Island Housing provides one third of all new home mortgages in the state, serves at the statewide building authority and finances developments and historic renovations. The organization invests over $800 million to the state's economy each year. DK Communications has managed strategic and creative marketing for Rhode Island Housing. We have produced print, digital and broadcast advertising campaigns. Our video team has provided in-studio version videos as well as personal short stories for use on various mediums. A new look and feel designed by DK's creative team is used across all collateral. Our redesign of Rhode Island Housing's brand garnered two national awards for design. One award for the agency's annual report and another for a new home buyer ad campaign. 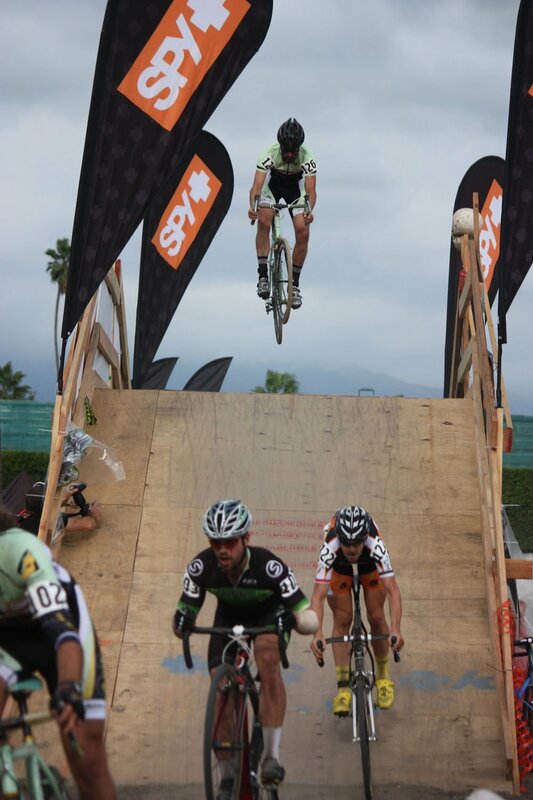 It's been called the Steeple Chase of Bike Racing. A wild fierce bike race over hills, ditches and mud that at times has participants carrying their bikes up stairs or colliding with other as they jockey for position. DK Communications worked with the organization on publicity, event planning, video production and marketing for the weekend long event. It wasn't without controversy - with concerns about the impact of hundreds of bikes on the terrain at Roger Williams Park. Pre-event publicity included special school programs that introduced kids to healthy exercise, media pitches about the economic benefit of introducing Providence to thousands of Millennials (who can afford to buy 2 or 3 bikes at a whooping $10,000 each) and world-wide focus on Providence as an exciting city. Both the Mayor and Governor welcomed the race, media coverage exposed Providence to millions, and KMC Cyclo-Cross was invited to host a prestigious world-cup event. As it moved to open a new urban campus Roger Williams University asked DK Communications to help broaden the image of the school - from a Bristol suburban waterfront university, to one that could also offer a hip city vibe. RWU's President told us he saw this expansion as part of an education revolution. After hours of interviews with students, opinion leaders, professors and potential users of the urban campus, DK put in place a sub-brand: "Roger's Revolution". Providence Water supplies water to over 600,000 Rhode Island residents - nearly two thirds of the state. DK was tasked with the job of re-branding this agency and bringing its look and feel into the 21st Century. Our creative team, including in-house graphic designers, developed a new logo and the tagline "Tap Water Delivers". The new Providence Water professional image along with DK provided brand standards is used on work vehicles, construction apparatus, uniforms, website, communications materials and all social media platforms. Incorporating the well known orange "P" in our logo design, the agency is now readily identifiable with the city of Providence. The new logo is sleek, modern and pleasing to the eye. DK has served as the public relations and communications agency for Providence Water Supply, and has acted as the spokesperson for the utility especially in crisis situations such as major infrastructure problems or water quality concerns. 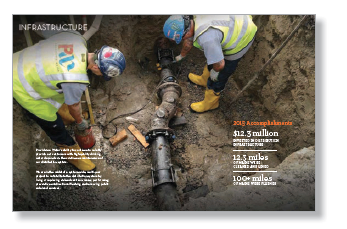 We have produced the agency's annual reports, all of their collateral and other creative needs. Our team has worked closely and effectively with all top tier personnel at Providence Water Supply as well as the agency's colleagues in Providence City government. 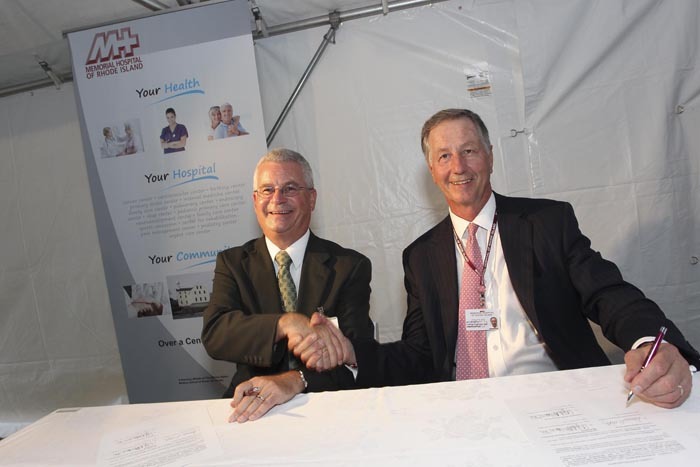 DK Communications worked closely with both Hospitals as they moved toward a historic partnership. We helped the institutions navigate the Expedited Review Hospital Conversion Act. Sharp, focused Public Relations efforts targeted community partners, patients, providers, and regulators while also taking care to abide by legal and confidentiality concerns. With broad based community support from elected officials, patients and employees associated with both institutions, the merger was granted. The application was approved by Federal Regulator, the State Department of Health and the RI Office of Attorney General. The National Children's Study is the largest research study in the history of our country. Designed to follow 100,000 children from birth to age 21 the study seeks to find causes - whether environmental, genetic or societal - for a wide variety of childhood illnesses, including autism, asthma and diabetes. DK Communications conducted a series of focus groups both in English and Spanish and translated results into a compelling campaign that coordinated community outreach, events, media cultivation, and paid and earned media to garner support among the medical community and with potential study participants. Providence County was recognized as the most successful pilot program in the nation. Its protocols and communication campaign are serving as models for centers across the country. DK Communications worked with South County Tourism Council to create elegant, unique and modern brochures that enhances South County's image and aided in the development of regional tourism. The brochures were written and designed by DK Communications and feature reviews of popular restaurants, highlight a wide variety of tourists destinations, and provide a look at the immaculate Ocean House. 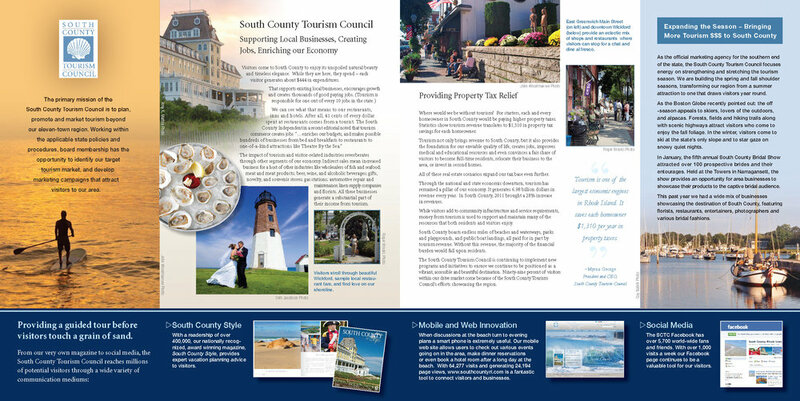 DK Communications also created and designed websites, social media campaigns, and monthly newsletters for the South County Tourism Council. South County was subsequently named in the top 10 Best Summer Road Trips in New England, and was featured on WCVB Boston as a great alternative to Newport.